The county of Dorset is part of what is referred to as the Jurassic Coast of England. Away from the coast the county is green and filled with the unspoilt natural countryside. It is a county rich in history with a number of historical hill forts watching over the landscape. There are ancient abbeys and plenty of pretty villages to explore. Much of the county has been labeled an ‘Area of Outstanding Natural Beauty’. It is the coastal rock formations which make the county so unusual; the Jurassic coast is a ‘World Heritage Site’ because of the rich variety of fossil remains which are found here. 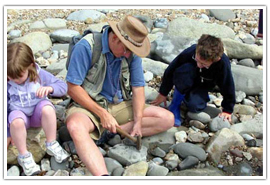 The region is popular with fossil hunters and beachcombers, especially around the Chesil Beach and Lyme Regis areas. Dorset is around and 2.5-hour car journey from London, and just less than two hours by train. Dorset is rare in that it is not crossed by busy motorways which mean that many of the towns and villages are in mainly rural surroundings. 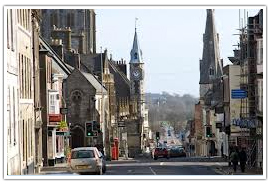 The main town in Dorset, the settlement here dates back to prehistoric times. It also has a strong Roman and Saxon heritage. The town has strong links to Thomas Hardy. The poet and author were born nearby and much of his work is based in the county of Dorset. Much of the history of the county is contained within Dorset County Museum which is located here. Originally used by King Edward I as a campaign based in the wars against the French the town is how a popular seaside holiday resort. It was a favorite place of novelist Jane Austen who used to have a cottage overlooking the coast here. Part of the coastline here has been used as a backdrop in several films including ‘The French Lieutenant’s Woman’. The coastline here is rich with fossils many of the largest examples are on display in the Philpot Museum in the town. Here you will find traditional stone cottages with thatched roofs. Once home to a vast Benedictine Abbey, partial ruins of the structure remain, though much of the stone from the ruined abbey went into building the cottages that surround it. Abbotsbury is everything a quintessential English village should be, with tea rooms and quaint inns along the high street. As one of the most popular seaside resorts on the south coast Bournemouth offers visitors a full seven miles of sandy beaches. Traditional home of the ever popular seaside beach hut and home to the oldest example of one in the country. Dorset is a beautiful rural area and as such there are plenty of open spaces and garden to explore. With stunning views across Poole Harbour Compton Acres Gardens on the Canford Cliffs are regarded as being some of the finest gardens in the whole of Europe. The Acres consist of seven different gardens, each with its own theme such as Japanese, Rock and Water and Heather. 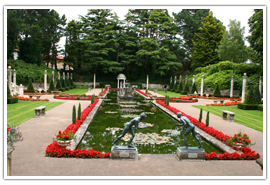 The gardens are dotted with marble and bronze statues and make a glorious place to visit. The gardens are open from April – October from 9am – 6pm and from November – March between 9am – 4pm. Located in Wimborne Minster the house is the last example of the work of architect Sir Roger Pratt. 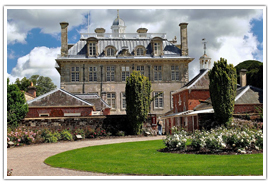 The house is set within 32 acres of beautiful formal gardens, just part of a vast 8,500 acre parkland estate. The park and gardens are open daily from 10am. 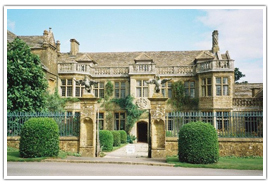 Located in Beaminster, Mapperton is a fine example of a 16th century Tudor dwelling. 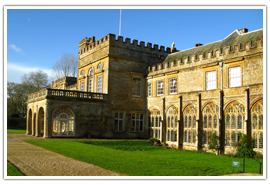 The building is Grade II listed and set within beautiful gardens amongst Dorset’s wooded hills. Terraced gardens lead down to a lush valley filled with ponds, fountains and a unique topiary of animal sculptures. The gardens are open Sunday – Friday between 11am – 5pm. 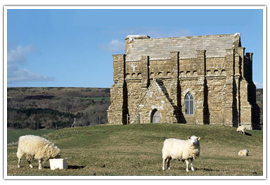 Dorset is filled with attractions for all the family to enjoy. 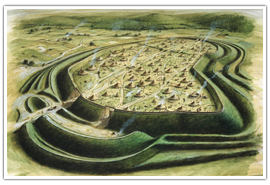 Located just outside of Dorchester, Maiden Castle is the biggest and best example of an Iron Age fort in the country. The fort was constructed around 300BC and consists of ramparts and ditches, and intricate earthworks form labyrinths at either entrance. The site was also occupied by the Romans. The site is open during daylight hours. See the National Trust website for more information. While the house itself was built by Sir Walter Raleigh in the late 1500’s. Opening times vary so see http://www.sherbornecastle.com/ for more information. Located in Bournemouth this is a family theme park based on Alice in Wonderland. Indoor and outdoor activities make it an all weather attraction, plus there is a petting zoo and pony rides to enjoy too. Entry to the Bournemouth Aviation Museum is included in the ticket price. 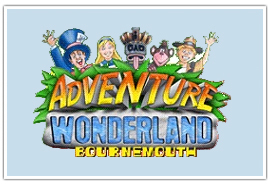 The park is open every day from 10am see http://www.adventurewonderland.co.uk/ for more information. 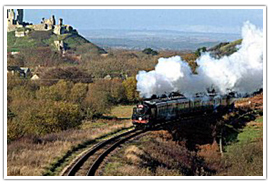 The Swanage Railway is a heritage steam railway which runs between Swanage Station to Wareham, a journey length of six miles, travelling beneath the dramatic scenes of the ruins of Corfe Castle. The trains run every weekend across the year, with daily trips in the spring and summer. See http://www.swanagerailway.co.uk/ for further details regarding times and tickets. Make the most of the beautiful county of Dorset by getting out and exploring the region. 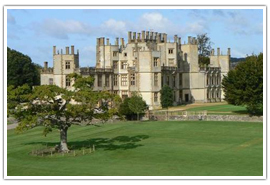 Dorset Outdoors are a company which offer a range of outdoor activities across the county. 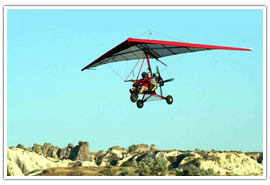 Micro lighting lessons can be either one off lessons or part of a more complex course. See their website http://www.dorsetoutdoors.co.uk/ for more information about the many different adventure based activities they offer. Brenscombe Outdoor Act ivies are based in Corfe Castle and offer a wide range of adrenalin fuelled activities as well as some more gentle options to visitors. 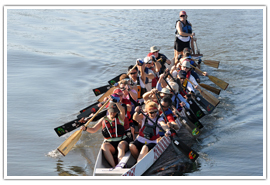 As a sport, dragon boating is more than 2,000 years old and just as popular as ever. Visit http://www.brenscombeoutdoor.co.uk/ for more details about the different activities on offer. Join a guided fossil hunt run by the Charmouth Heritage Coast Centre and explore the dramatic Jurassic coast. Fossils are revealed by land slips from the cliffs onto the shore and marine fossils of all sizes can literally be picked up by walkers. See http://www.charmouth.org/ for further details. Studland Stables are located just outside of Swanage and offer private and group horse rides along Studland Beach. 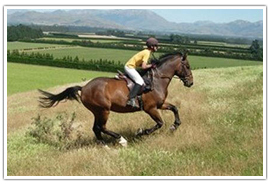 Great for beginners as well as experienced riders, enjoy the exhilaration of a beach ride. Visit http://www.studlandstables.com/ for more information. Take time out to enjoy a scrumptious afternoon tea in some wonderful surroundings. Located close to Weymouth and overlooks Chesil Beach and magical Fleet Lagoon. A selection of homemade cakes, clotted cream and sweet treats are on the menu. 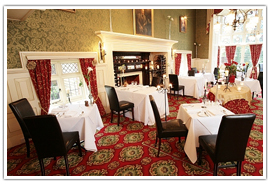 Afternoon tea is served between 3pm – 5pm, see http://www.moonfleetmanorhotel.co.uk/ for more information. Located in Bournemouth this is the manor house that Edward VII built for his notorious mistress Lillie Langtry. 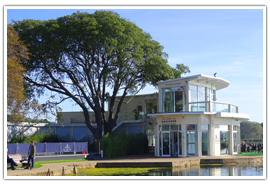 Enjoy finger sandwiches, cream cakes and assorted fancies in beautiful surroundings. Afternoon tea is served between 2.30pm – 4.30 daily. See http://www.langtrymanor.co.uk/ for more details. 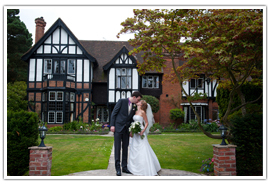 There are some incredible wedding venues in the county to make a special day extra memorable. Located in Chard, the abbey has been in existence since 1141 and is now one of the country’s most impressive stately homes. The grounds offer some exceptional photo opportunities for the wedding party and ceremonies can be held both indoor and in the abbey grounds. 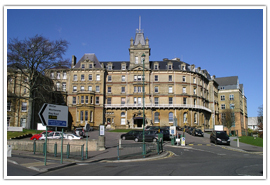 Located in Bournemouth the Tudor Grange Hotel offers an elegant setting for a wedding. The timber framed building makes for a romantic location with the main staircase a focal point for a photo shoot, plus it is close enough for the beach for the happy couple to include it in their photographs. Located in Poole, the villa is the only wedding location of its kind in the country and offers visitors acres beautiful manicured gardens to enjoy, as well as an incredible ceremonial space. It also offers the exclusivity of the building to the wedding party on their special day. 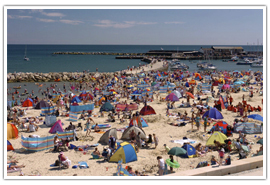 Dorset is a popular destination with holiday makers and to reflect this face there are plenty of caravan parks and camp sites to choose from around the county. 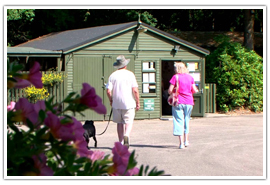 • Crossways Caravan Club Site – Moreton, Dorchester, Dorset. • Haycraft Caravan Club Site – Harmans Cross, Swanage, Dorset. • Yeomans Road Certificated Site – Throop, Bournemouth, Dorset. • Paddocks Farm Certificates Site – Broadoak, Bridport, Dorset. • Newhaven Certificated Site – Winterbourne Steepleton, Dorchester, Dorset. 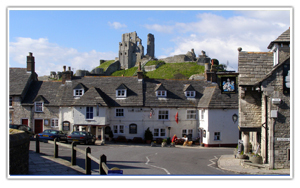 • Church Farm Certificated Site – Corfe Castle, Wareham, Dorset. 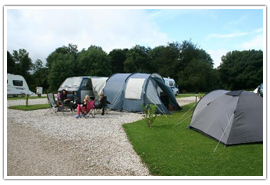 • Redlands Farm Caravan Site – Weymouth, Dorset. 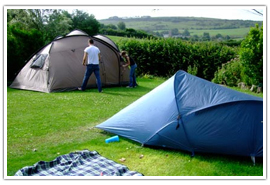 • Charris Camping and Caravan Park – Corfe Mullen, Wimborne, Dorset. • Freshwater Beach Holiday Park – Burton Bradstock, Bridport, Dorset. • Huntick Farm Caravans – Lytchet Matravers. Poole, Dorset.